Manufacturers issued six major IVC filter recalls between 2005 and 2015. But there have been few recent IVC filter recalls, despite reported problems. Recalls affected more than 81,000 IVC filters over a 10-year period. Most were for packaging and labeling errors. Bard and Cook Medical never recalled some of their most problematic IVC filters. Manufacturers have not issued any major IVC filter recalls since 2015. But the U.S. Food and Drug Administration still receives reports of IVC filter problems. 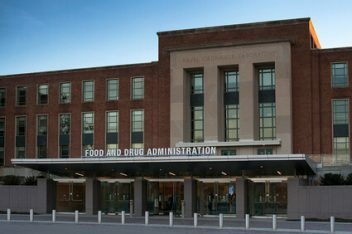 The FDA MAUDE database shows 500 reports filed in the first four months of 2018 alone. As of May 2018, there were more than 8,000 active IVC filter lawsuits. Lawsuits claim defective IVC filters killed or injured patients. Most of the lawsuits were over IVC filters that manufacturers never recalled. Among the manufacturers that have issued recalls are Boston Scientific, B. Braun, Cordis and Bard. Cook Medical has not recalled its IVC filters, even with reports of problems. Boston Scientific was the first company to recall IVC filters. The company issued two Greenfield IVC filter recalls in 2005 for patient risks. Why have some IVC filters been recalled? Attorney Holly Ennis explains why some IVC filters have been the subject of debate and recall. The first recall affected two lots that could cause blood vessel damage. The second was for 18,000 filters that could cause heart or lung embolisms. In 2007, B. Braun recalled 60 units of its VenaTech filter, citing packaging error. Cordis issued two IVC filter recalls. Both came in 2013 and involved labeling issues with the OptEase device. The company recalled a total of 62,395 units. Most recently in 2015, Bard recalled 1,183 Denali IVC filters. The company listed missing warnings on the label as the reason for the recall. The FDA also took action during that 10-year period. The agency issued an IVC filter safety communication in 2009. It updated the warning in 2014. The FDA saw a growing number of IVC filter complaints. People filed more than 900 adverse event reports in less than five years. The agency told doctors to remove IVC filters when the risk of pulmonary embolism passed. The FDA said doctors should remove the devices between 29 and 54 days after implantation. It relied on a study in the Journal of Vascular Surgery to determine the window. As of May 2018, Cook Medical had not issued a Gunther Tulip or Celect IVC filter recall. But there are hundreds of reported injuries from the two devices. The FDA received 130 reports of Celect IVC filter complications in the first four months of 2018. There were more than 230 for the Gunther Tulip IVC filter. Cook never recalled the filters named in more than 4,000 IVC filter lawsuits the company faces. A 2015 study found a high perforation rate with Cook Celect IVC filters. Researchers compared Celect IVC filters to Rex Medical’s Option IVC filters. They looked at 187 patients fitted with one or the other. The researchers found 43 percent of the Celect patients suffered perforated blood vessels. None of the Option patients suffered perforations. In 2015, an NBC News investigation linked Bard’s Recovery IVC filter to 27 deaths. But the company never issued a Recovery IVC filter recall. Bard never recalled the IVC filters named in most of the 3,800 IVC filter lawsuits the company faces. Instead, Bard replaced it with a new model called the G2. The investigation claimed the G2 IVC filter was responsible for another 12 deaths. Bard never issued a G2 IVC filter recall either. The report blamed the deaths on device fractures and migration through the body. These are among the most dangerous IVC filter complications. The NBC report cited a confidential study Bard commissioned. The study found Recovery IVC filters had the highest failure rates of any IVC filters at the time. In 2015, Bard did recall 1,100 of its Denali IVC filters. The devices were missing warnings on their labels. The FDA sent a warning letter to Bard in 2015. It told the company about violations FDA inspectors found at its New York and Arizona plants. The U.S. Food and Drug Administration sent a warning letter to Bard in 2015. Inspectors found violations at Bard's plants. The agency concluded Bard was manufacturing an unapproved medical device. Bard marketed different versions of the Recovery Cone Removal system. The company designed it for IVC filter removal. The FDA ordered Bard to stop making and selling the devices until it received FDA clearance. The FDA also noted issues with the company’s process for cleaning IVC filters. The agency said the company failed to confirm inspections and tests on the devices. The FDA said it only learned about problems with the Recovery IVC filter after Bard took it off the market. The agency cannot order a mandatory recall for devices no longer on the market. The FDA orders mandatory recalls only in “rare instances.” Companies issue voluntary recalls in most cases. In most cases, recalls do not affect devices already implanted in a person. When NBC published its investigative report in 2015, about 20,000 people were living with a Bard IVC filter in their bodies.